Any fabric product sold by Celina is created in one of our two manufacturing facilities: the main facility located in Celina, OH and the Taicang Facility. Designed and tested by our on-staff engineers, Celina's fabric products are held to a higher standard to ensure that the end user is completely satisfied with each and every product that ships from our distribution center. 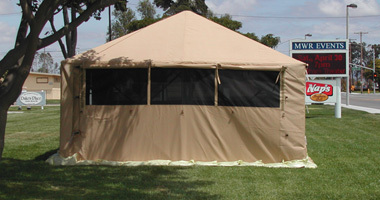 Ranging from event and party tents to military and humanitarian shelters, Celina's products have been used around the world in every calling and situation. We continue to push our product lines to meet the demands of our customers, with growing custom-printing processes and intuitive instructions. 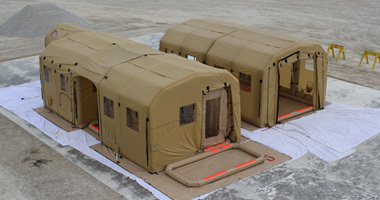 Our industrial applications, including storage shelters and ducting capabilities, are developed in tandem with our other fabric products, allowing us to combine work space and tried and approved processes. 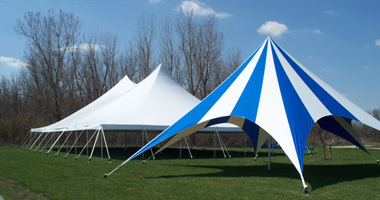 Celina also distributes a wide variety of products in addition to our fabric items, including tables, chairs, lighting, tent event installation equipment, printed flags, and table covers.